To get a library card you can apply online or visit any Jefferson County Public Library location. Anyone who resides or pays property taxes in Jefferson County, Alabama can get a card. Library cards expire after two years. 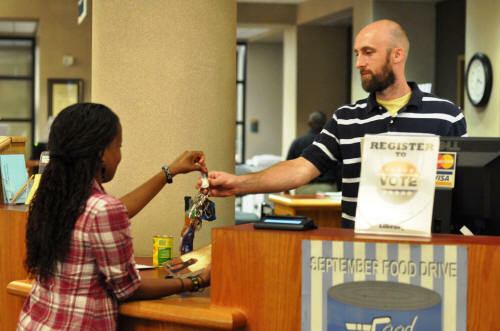 Library cards can be renewed in person at any Jefferson County Public Library location or online. We ask you to renew to make sure that we have all of your current contact information. If you live elsewhere in the State of Alabama, you can apply and pay for a nonresident card. There is an $50.00 annual fee. Adults must present up to two current forms of identification, one to prove identity and one to prove place of residency. We also ask for your e-mail address, which is used to provide you with library information ONLY, including notice of items on hold or due, and information about library services and activities.